This race features two distances – an introductory 6k trail run and a longer 15k trail run for the more experienced runner. This all takes place on fire roads and single track trails in the El Moro area of Crystal Cove State Park. You Must Bring Proof Of Registration To Pick Up Your BIB! This includes registration email, credit card statement or email confirmation from Generic Events. No Exceptions! Check-In Starts : 6:30 a.m.
We recommend that you arrive 1 hour before the start of the event to allow adequate time for parking, packet pickup, and warm up. There are plenty of local accommodations in Newport Beach, Laguna Beach, Irvine, and surrounding areas. This is a trail run, so trail running shoes are advised but not compulsory. If you’d like to volunteer or need more information, please contact the event organisers at 310.821.7898 or send an email to [email protected]! Please include which race you’d like to volunteer for in the email. 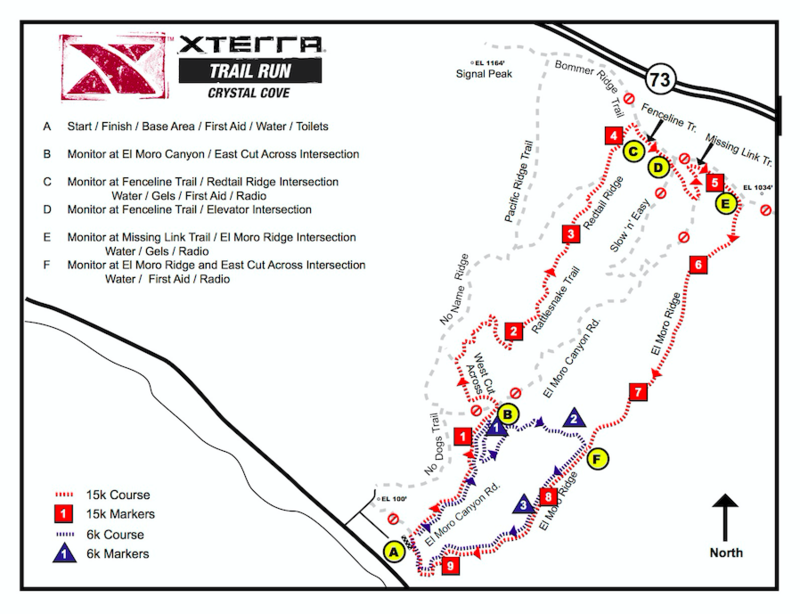 How was XTERRA Crystal Cove Trail Run?